To channeling the rainwater to one down pipe instead of two. 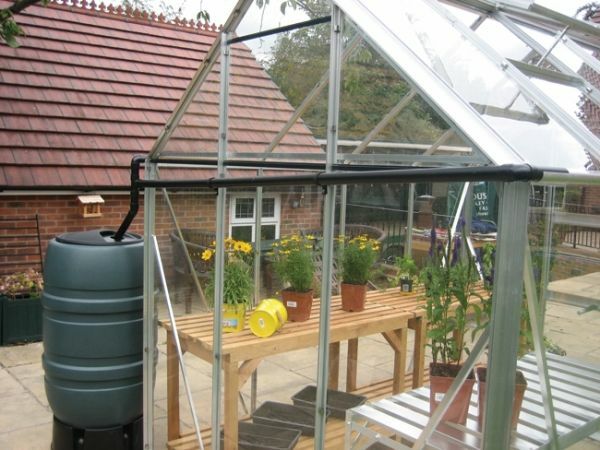 This kit can only be fitted at the rear of the greenhouse. Water barrels are sold separately.